Take steps now to prevent a population explosion of mosquitoes in your yard, neighborhood and community. Did you know that a small container holding less than a cup of water is sufficient for the development of mosquitoes? The Champaign Health District is working to educate residents about the most effective way to reduce the number of mosquitoes around homes and neighborhoods. 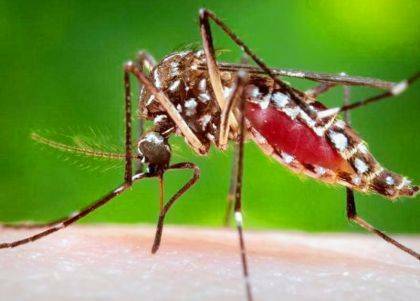 Viruses passed from mosquitoes include West Nile, St. Louis encephalitis, Lacrosse and Zika Virus. – Eliminating standing water, needed by mosquitoes to complete their development cycle. – Dispose of any refuse that holds water, such as tin cans, containers and, in particular, used tires. Tires have become the most important developmental sites for mosquitoes in the United States. – Drill holes in the bottoms of recycling containers and check uncovered junk piles. – Clean clogged roof gutters every year, and check storm drains, leaky outdoor faucets, and window wells. – Prevent the accumulation of standing and empty water from wheelbarrows, boats, cargo trailers, pet dishes, toy saucers, underneath flower pots, and ceramic pots. If possible, turn these items over when not in use. – Do not allow water to stagnate in birdbaths. Ornamental pools can be aerated or stocked with fish. Swimming pools should be cleaned and chlorinated when not in use. – Alter landscaping of your property to eliminate standing water. Keep in mind that during warm weather mosquitoes can develop in any puddle of water. Larvicides (sprays) are highly effective in controlling immature mosquitoes and should be considered when standing water cannot be eliminated. – Take advantage of your community’s “spring clean-up” of items that may contribute to this problem. Scrap Tire Disposal Day is Saturday, Sept. 22, from 9 a.m. to noon at the Champaign County Fairgrounds. This free event is for Champaign County residents only. All tires will be accepted, but no rims. Up to 10 tires per person. Call if you have more than 10. The Champaign Health District is working with county, city and village residents to be more proactive in preventing and controlling the mosquito population. For more info, call 937-484-1606.